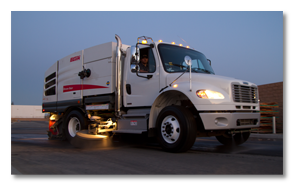 The Elgin Broom Bear is the ideal solution for municipalities and contractors looking for a reliable sweeper that is comfortable and simple to operate. 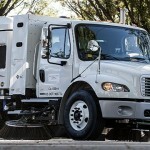 The street sweeper of choice for both light street maintenance and heavy-duty clean-up jobs, the Elgin Broom Bear is one of the industry’s most efficient and durable sweepers. 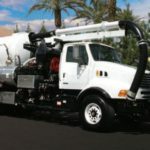 Its powerful design features a high torque diesel engine in an International Durastar or Freightliner chassis, and its innovative collection of innovations and unique features makes the Broom Bear able to easily tackle any application while giving operators unprecedented flexibility. The frequency of stops throughout the day is reduced thanks to the Broom Bear’s increased water capacity and large hopper, and operators can take advantage of the most efficient dumping action possible thanks to the 11 inches of side-shift capability and a variable dumping height. Easy to maneuver, the Broom Bear’s large brooms and short wheelbase make it ideal for tight spaces, including cul-de-sacs, and the fully floating main broom can handle the toughest road obstacles. 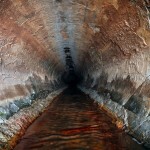 Even large manhole covers aren’t a challenge for the Broom Bear. 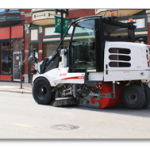 The Elgin Broom Bear is the premier solution for a number of applications, including residential street maintenance, state highway and tollway cleaning, road construction clean up, urban street sweeping and city and highway maintenance. To learn more about how the Elgin Broom Bear can make your streets safer and more attractive, contact the Haaker team today at 800-200-3432.